In order to bring together his first GT, Rino Malzoni chose to use as basis for his project, the DKW which offered an important advantage over other models: its chassis was totally independent from the body of the car. It had a front engine and a front wheel drive. Despite its small displacement of just one litre, it was a two-stroke engine and generated around 50CV as compared to the engine of 1.2 litres Volkswagen which at the time had 30CV despite its 1.200 cm³ displacement. 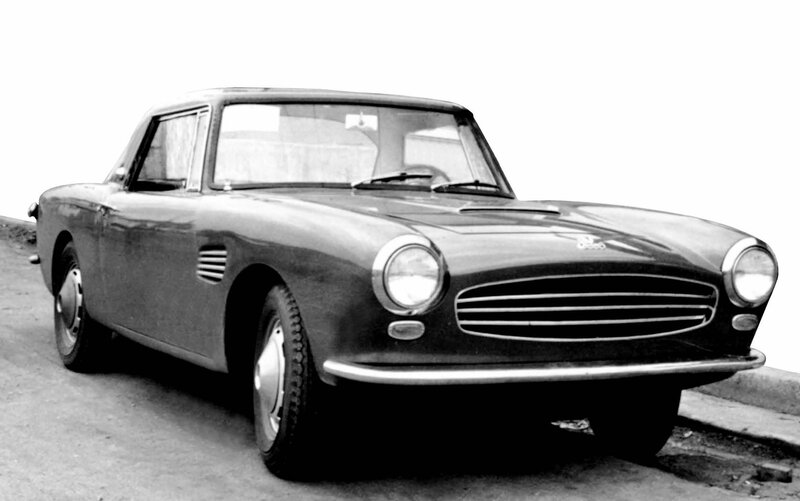 Images of the prototype DKW Malzoni GT 2+2 Type 1 in 1963. Two key collaborators for the construction of the Malzonis were recruited from the neighboring city of Araraquara. Both Pedro Molina, the first to arrive, and Francisco Vaida were expert repairers and had in common, versatility as their main quality. The team also included mechanics, painters, electricians and whatever was needed to carry out their boss´ project. A thorough learning process involved the creation of the first Malzoni GT and the others that followed it. It took about two years for the first model to be ready. Most of its parts had to be manufactured and modified several times. A real size sketch of the car´s profile, on one of the shop´s walls, was constantly being altered. The basic lines of Rino´s project consisted on a structure made of steel bars used for buildings. This enabled him to regulate the height of the roof before placing the driver´s seat, the windshield inclination and the position for the instrument panel. After the frame was covered with cardboard, the forms were finally defined. The body parts were then modelled by hammer. The model, a 2+2 (with two very small seats at the rear) was ready in 1963. An important mechanical change in it was the placement of the gear stick which moved from the steering wheel column to the car´s floor. The second Malzoni GT with a retrenched chassis was an improved version which gave the car sprightliness that would become a legend in tight turn tracks. The greatest supporter of the team, Mário César de Camargo Filho, best known as Marinho, was also the first driver of the Vemag Team. After driving the 2+2 model, he called Rino at the farm and convinced him to build the newer version. Marinho supervised each step in the construction of the new car and even suggested some changes such as the diminishing of the roof height. Before the new Malzoni GT was finished, he bought it and lent it to the Vemag Team where he successfully tested it in a few races. 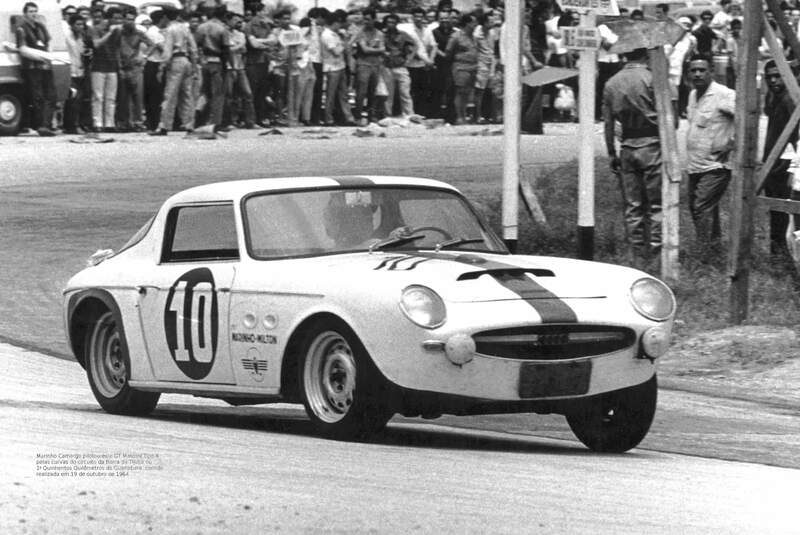 The Malzoni GT Type II at the 1st Guanabara 500 Kilometers race, driven by Marinho, October 19 1964. There were two other steel-body versions of the Malzoni GT. The last one, Type IV, was used as a sample for a much lighter version, in fiberglass. Commissioned by the Vemag Team and under the monitoring of the expert in fiber glass, Celso Calvari, three additional units were created. At that time, this new technology was cutting-edge in Brazil. 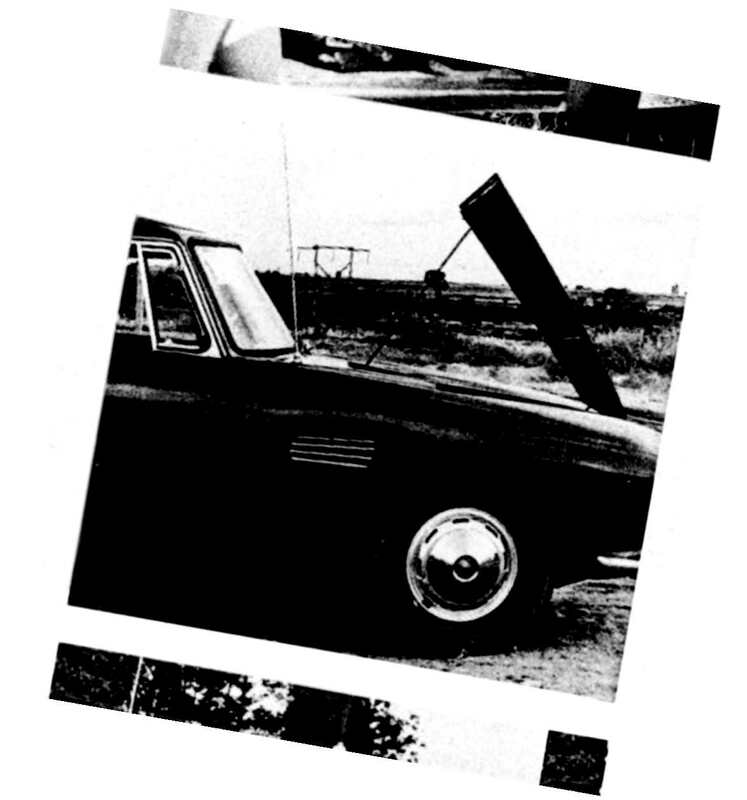 The following step was preparing Type IV to be displayed at the São Paulo Auto Showroom in 1964. That demanded a much more careful engineering. The prototype which was painted no less than five times before it was finally approved, arrived late at the show. Despite of the challenges, it was one of the highlights of the year. The fiberglass Malzoni GT was the result of a partnership among Rino, Marinho, Milton Masteguin and Roberto. That set the establishment of the Lumimari Company. 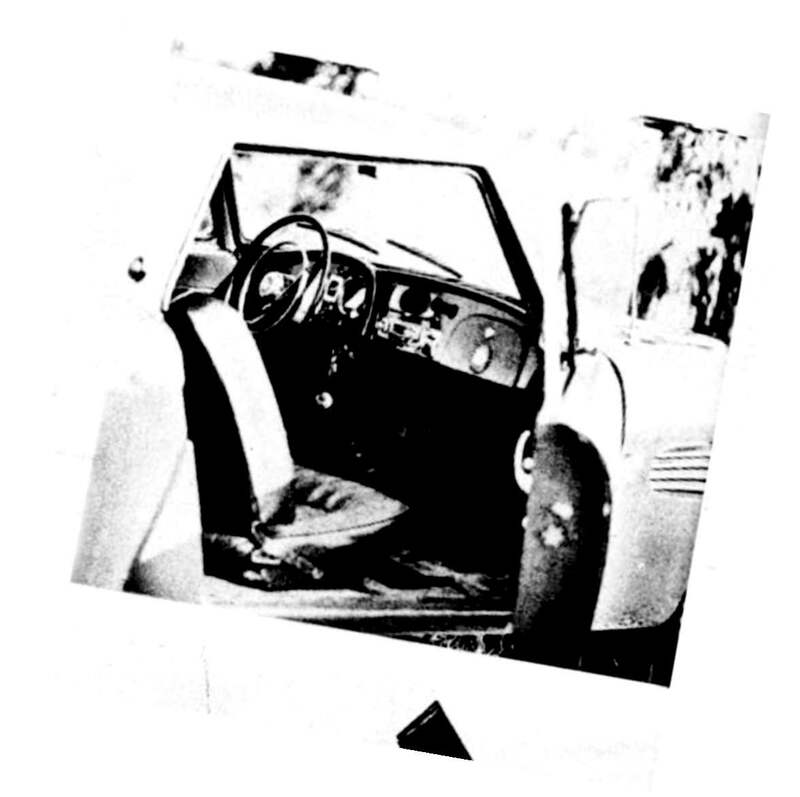 The car, boasting the DKW Malzoni badge, was available in two versions. The first, the “Spartan”, which was used for racing, had a harsh finishing and little internal comfort. The other, geared to the ordinary public, was a more sophisticated one, with leather upholstery. There were only a few units made of the first “commercial” Malzoni. There is not an exact number, but it is estimated that there were between 43 and 45 cars made. Despite the small number of pieces, the car was tremendously successful and greatly accepted by all who tested as it was publicized in the main specialized magazines at the time. By 1966, the model needed a replacement. Rino then decided to create a newer model, under the support of his friend and designer, Anísio Campos and Jorge Letry, a former Vemag racing manager, who supervised the manufacturing of PUMA, the brand that replaced Lumimari. 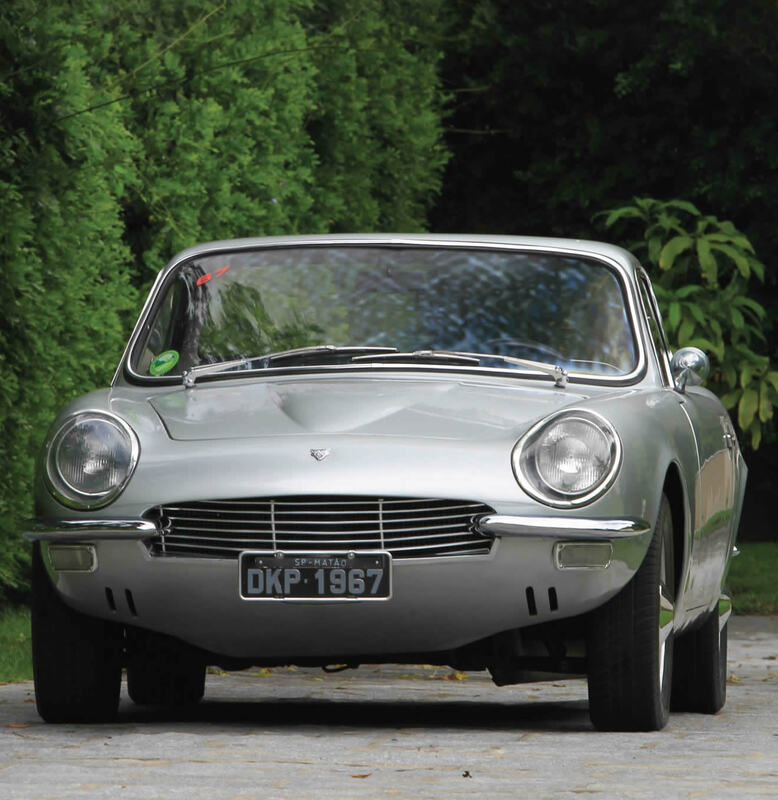 Puma DKW developed by Anísio Campos under supervision Rino Malzoni and Jorge Lettry . The model was produced in fiberglass body. Anísio Campos, both a racing pilot and Rino´s close friend, claimed he had never participated in the project of PUMA VW nor worked on it. He said he just converted Rino´s ideas into drawings during informal talks in the living room during when visiting his farm. This close interaction led people to credit Anísio for some of the models created by Rino. With a focus on the daily use, smoother lines, more precise measures and more careful finishing, the PUMA GT turned out to be an immediate success. Its success was even more obvious when it was awarded, in 1966, Brazil´s Most Beautiful Car by the magazine “Quatro Rodas” which included in its jury the Italian carrozziere Nucio Bertone. The success immediately impacted sales: 135 units were swiftly sold. This number could surely have been higher if Volkswagen which had bought Auto Union, in Germany and Vemag, in Brazil, had not discontinued the manufacturing of the DKW lineup. Those were hard days for PUMA, but Rino did not allow the crisis to interfere on his business.